Released in 1988, Michael Jordan’s third signature shoe continued to push boundaries and maintain Nike’s streak of innovation within the world of athletic product. With Tinker Hatfield manning the helm on his first Air Jordan release, it was inevitable that something new was going to be brought to the table. After the successful introduction of visible air in his 1987 masterpiece, the Air Max 1, it was decided to begin expanding and start integrating the technology into other sporting categories. 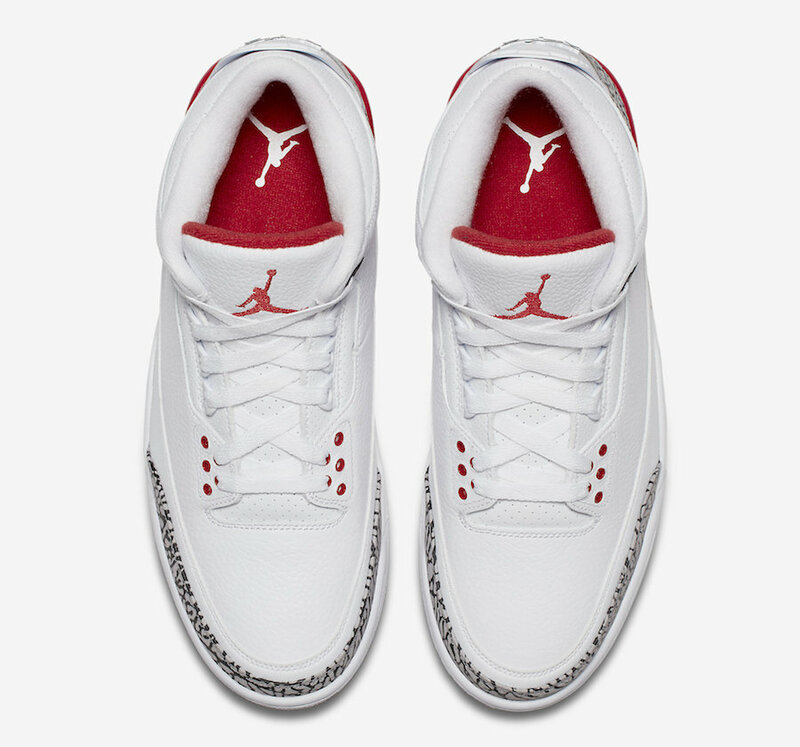 Debuting on court inside the Air Revolution in 1988 (also designed by Tinker), the same midsole tooling was transferred over into the Air Jordan III, with more of an emphasis given to the radical new upper design. 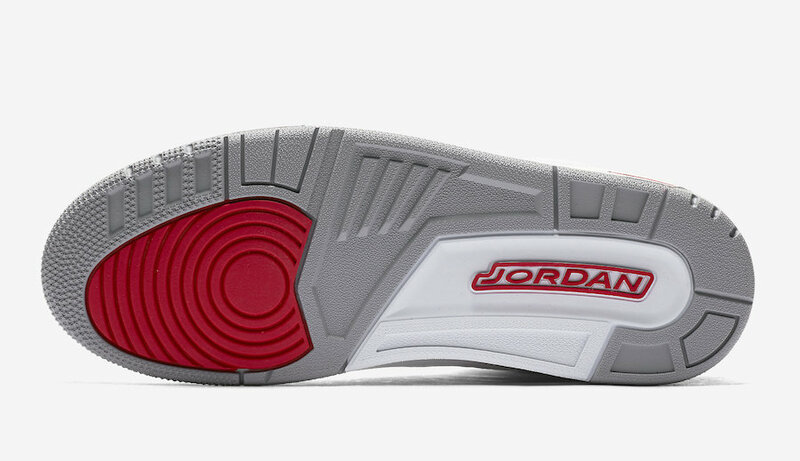 In Tinker’s sketches for the III he even refers to the new creation as the ‘Air Jordan Revolution’, a nod to it’s predecessor. One design cue that followed through from the II was the use of animal print, with the Bruce Kilgore designed, Italian made shoe incorporating an iguana textured leather into it’s mid-panel, in place of the Swoosh seen on the original Air Jordan I. A luxurious Elephant print made it’s way onto the III to inherit the premium feel of the product line, and has been a mainstay feature for almost all of it’s 28 year existence. This latest colourway was originally billed as a pair put up for auction to help with charity donations after the Hurricane Katrina natural disaster in 2005. 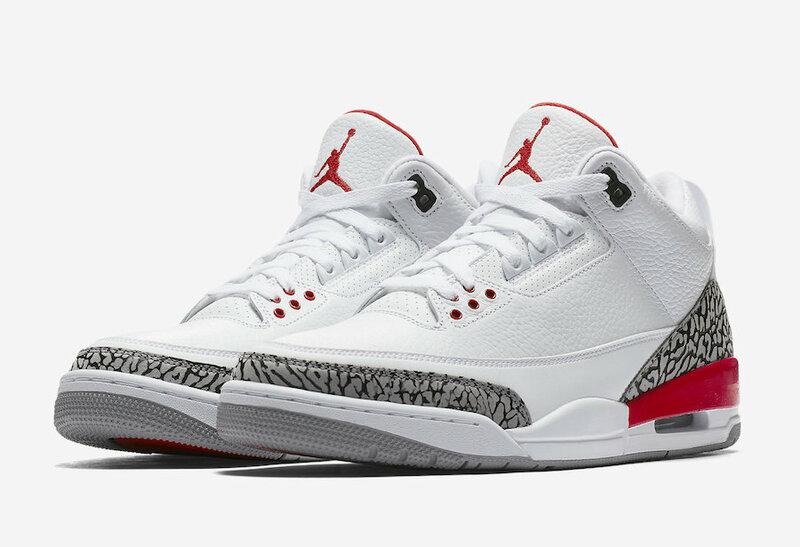 Prior to this auction, it was actually a player exclusive worn by Derek Anderson of the Portland Trailblazers, and takes colourblocking cues from that of the OG White/Cement and Fire Red colourways. 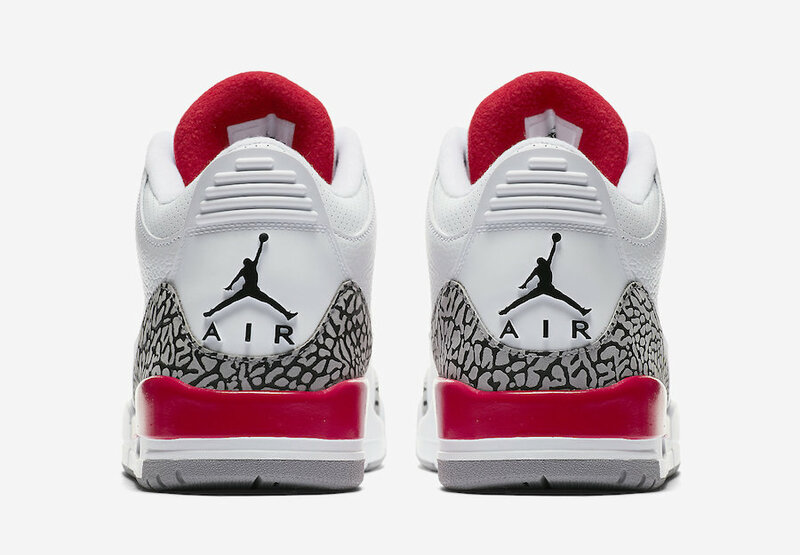 The Air Jordan III Retro OG ‘Katrina’ will be available via the size?previews app and in selected size? stores on Saturday 5th May, with the Mens version priced at £165, and Women’s priced at £100. Please check your local store’s Instagram profile to check they’ll be stocking this release before travelling.